A chicken coop can be built in many different ways, different shapes and sizes depending on the type, amount, and size of your chickens. 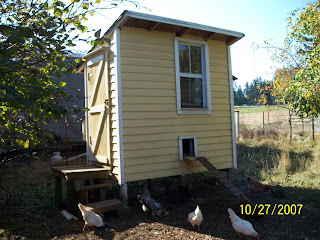 The coop design below will cost between $150-$200 and will hold 3-4 birds comfortably. Our staffers don\'t spend all their time just building fine furniture. In this Quick Cuts video blog, associate art director John Tetreault touches on how to build a simple chicken coop.